The eyes of all South Africans and the world have been glued to the events that have unfolded in our country as students, academics and others respond to the existing higher education funding problem in South Africa. On the one hand, I am deeply proud of South Africans (students, academics and supporters) who have come together united in a cause to make higher education affordable in South Africa. On the other hand, I have observed some of the violence between protesting and non-protesting students, staff, police and private security deeply and found it deeply disturbing. Higher education is a vital driver for a resilient, responsive and secure water sector of the future. Therefore, this is an issue particularly close to my heart. Furthermore, I am acutely aware that many of our YWP members are students and directly experience the struggle of covering the costs of their education, the frustration of vastly unequal fees in universities and the challenge of rising fees. I would like to extend my support to all students in their various efforts to lobby for affordable higher education and would like to encourage everyone to engage in a way that is peaceful, respectful and constructive. YWP-ZA will continue to share all information that we can to facilitate learning opportunities, job opportunities and funding opportunities. Our newsflash is the mechanism we use for this and can be accessed at this link: http://www.ywp-za.org/newsflash-archive.html. We also encourage you to share information with us about relevant opportunities so that we can share this with the network, by emailing content to SAYWPNewsflashes@gmail.com. I know there is a diversity of views on this topic and fully respect that diversity. I encourage us all to engage in platforms that are constructive and enable us to be heard such that we can shape a constructive way forward that enables even the poorest South Africans to afford tertiary education. This is vital for South Africa as a whole and the water sector in particular. The Xenophobic events that have unfolded in South Africa over the last two weeks have been devastating to bear witness to, have made me afraid and sad for this country that I love so much, and the anger simmering beneath the surface in many fellow South Africans has deeply disturbed me. These events have also been a reminder of the ongoing challenges that we face in South Africa related to service delivery, crime, inequality, dignity and achieving a good life for all people in this country. Given my passion for the South African Water Sector, I could not help but wonder what the impacts of these xenophobic events mean for our sector. For me, water is a powerful example of how deeply interconnected and interdependent the countries and people of Africa are. Transboundary waters (e.g. shared rivers) contain 68 percent of the area of the SADC region, provide for 74 percent of the region’s people and constitute 91 percent of the available surface water resources in the region. Essentially the management and use of water in our region must be carried out in a cooperative manner to ensure that there is some for all. Similarly, water related problems such as pollution or water borne diseases have to be managed cooperatively as effects and impacts are transferred across borders along our rivers. Simply put, if you work in the water sector, you have a deep understanding of the need to work together across borders to manage a resource that we all need to survive and prosper. In this spirit of sharing, South Africa has vastly benefited from the inputs of academic and technical experts from all over Africa and the world, in the way we have designed infrastructure, responded to water sector problems, and built the knowledge base of our sector. Anything that damages the cooperative relations that South Africa has with other African water sectors is thus damaging to our sector. Let me remind us all that YWP-ZA is a network for any young person in South Africa who is passionate about water. This openness to all people in South Africa is deeply important from a human perspective but is also fundamental for driving a robust, responsive and strong water sector in South Africa. When faced with the xenophobic events of the last days, many of us are left with a sense of not knowing where to start and not knowing what to do. That being said, we are all part of a family, a neighbourhood and a community somewhere, be this a social club, a religious community, your work place or some other network. We are also all part of conversations about xenophobia at this time. We are all members of the YWP community. It is in these community spaces that we are all responsible to make a difference and contribute to dealing with the devastating reality of xenophobia in our society. As chair of this network I’d like to call on all YWPs to stand up in support of a peaceful, diverse South Africa and make it clear that violence and hatred towards any person is unacceptable under any circumstances and wholly unconstructive in dealing with the problems that we face as a country. Be the person in all conversations that never tolerates any kind of justification for xenophobia. Be the person to start conversations in your communities about how to talk and act respectfully towards all people. Be the person to help unpack how damaging xenophobia is to our communities, country and sector. 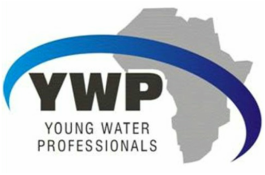 In support of South Africa working with all African countries and people on water sector related problems, YWP-ZA is hosting the first Africa-wide YWP conference in November 2015. (http://www.ywp-za.org/2015-ywp-conference.html). Here we look forward to welcoming YWPs from all over Africa to this exciting event with open arms, and strengthening our relations across international borders. YWP aims to be a network that is responsive to your needs and also creates a platform for you to pursue topics related to the water sector that you are passionate about. I am always available to anyone in our network who has any ideas, suggestions, projects or needs that they’d like to raise. Please feel free to contact me. January 2015 - Welcome to the new year, we have some exciting things coming! We thought we’d take a moment to step back, reflect and share with you what the South African Young Water Professionals (YWP-ZA) is all about, give you a sense of how to get more involved with YWP and share with you the exciting plans for the year ahead. YWP-ZA is a network of people who are passionate about all aspects of water and its intrinsic linkages to people, economies, development, nature, dignity and life itself. We are particularly passionate about helping people in the earlier stages of their studies and careers to find their “professional home” in the South African water sector, understand and explore the challenges and opportunities of the sector, build the skills they need to be impactful contributors to the sector and develop meaningful networks that will provide the insight, support, access and opportunities needed to build exciting, meaningful and challenging careers. This has given rise to YWP-ZAs vision which is to achieve distinction (excellence and greatness) by connecting (linking and trans-disciplinary networking) all YWPs striving for personal and professional evolution (growth). To give meaning to this passion and vision we run a series of academic and technical learning events (such as conference, seminars, and technical tours), skills development events (such as publications workshops, entrepreneurship workshops, and public speaking activities) and outreach activities (such as school awareness events and community projects). We also run a range of water sector awareness campaigns at higher education forums and engage in a range of strategic committees and events locally and internationally. We work closely with the Water Institute of Southern Africa (WISA) and the International Water Association (IWA) as a division and programme of both of these organisations. This is all steered by a National Committee and the Provincial Committees that currently exist in KZN, Gauteng, Western Cape, Eastern Cape and Mpumalanga, with a new committee on its way for the Free State/Northern Cape! How do you get involved with YWP? Get involved with a provincial committee. If you feel that you have a project you are passionate about or just want the experience of serving on a committee and the vast exposure and learning that comes with this, please get in touch with the provincial chair in your province. We can all testify to the tremendous learning, networking and fun that we have had working on the YWP-ZA committees. What can you expect and look out for over the next year? The National Committee is running three flagship events over the next year! Don’t miss out, they’re going to be epic. From 15-17 November 2015 the YWP-ZA Committee in partnership with YWP chapters all over Africa will be holding the combined 4th YWP-ZA Biennial Conference and 1st ever Africa-wide YWP Conference. This event is taking place at the CSIR International Convention Centre in Pretoria. The conference theme is “Stop Talking, Start Doing!” given that the conference team aims to bring academic researchers together with professionals working in implementation contexts in order to facilitate awareness of how to apply knowledge and solutions in situations where they can make a difference. There are presentation opportunities for both those working in academic and occupational contexts. Pop onto our website to download the call, register, submit an abstract and find out more. In May/June 2015 we will be running an entrepreneurship skills development event. If you are a self starter and interested in being self employed in the water and biodiversity space, this is one of the events for you. Apply to participate in a business bootcamp where we will analyse the business opportunities and market drivers of the sector, refine business plans, explore business funding opportunities, talk to the entrepreneurs who have learned these lessons the hard way and more! Keep your eye on our newsflashes and website for more details. In January/February 2016 we will be running the second publications workshop series. The publication of articles in journals not only establishes a researcher’s expertise and reputation in a chosen field, but is also a requirement for the training of all postgraduate students. By monitoring the paper acceptance rate associated with the last three YWP-ZA Conferences, we have realised that YWP’s are in need of support in terms of understanding journal editor’s requirements and how to get their work published. Given this context we are excited to run a series of biennial Publication Workshops. The purpose of these events is to equip students with the skills needed to publish in leading international journals. The workshops follow a diverse program covering writing skills, practical activities, review systems and extensive interrogation of participant papers. The provinces have an ongoing programme of events. Please look on their pages for more details about this and also pick up the next edition of Water and Sanitation to read more about those planned events. We hope this has given you a sense of who we are and what to look forward to. Please visit enjoy our sparkling, upgraded website for more details about YWP, the committee members and our events. Don’t hesitate to contact me with any ideas, suggestions and questions.